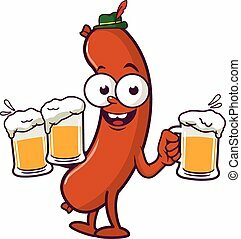 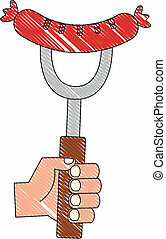 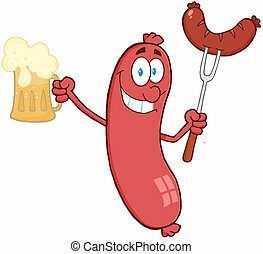 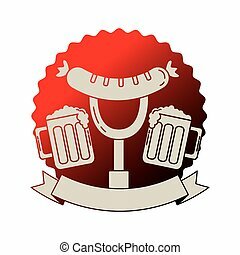 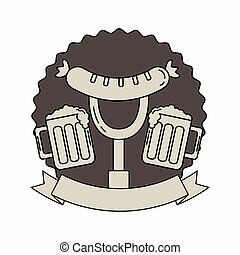 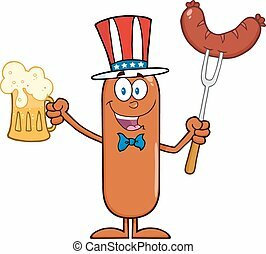 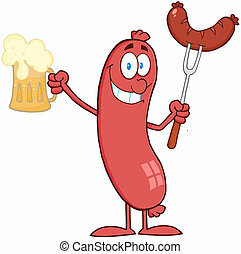 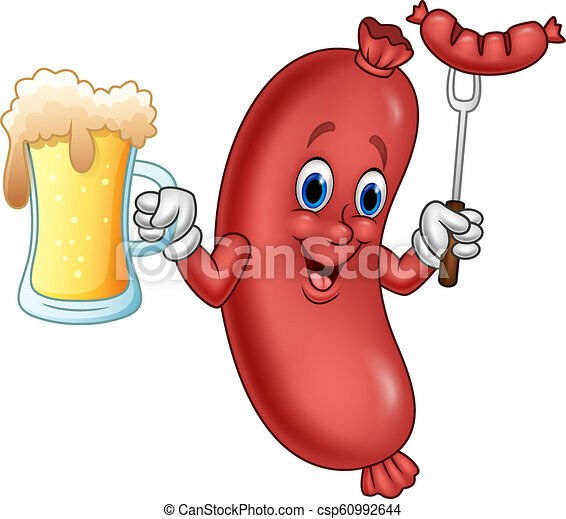 Vector illustration of cartoon sausage holding beer and sausage on fork. 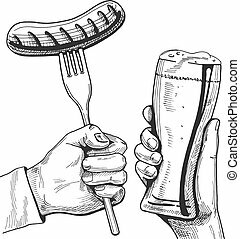 Vector hand drawn hands with beer weizen glass and sausage on the fork. 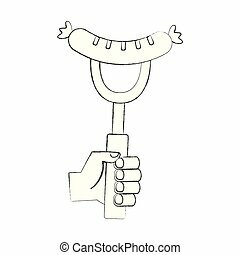 Vintage engraving style. 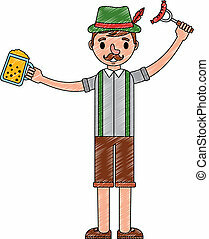 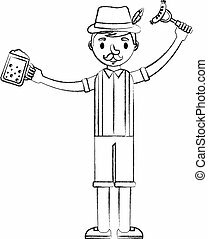 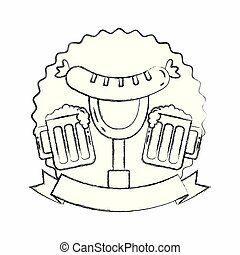 Vector illustration of a cartoon sausage wearing a traditional German hat and holding cold glasses of beer at Oktoberfest.